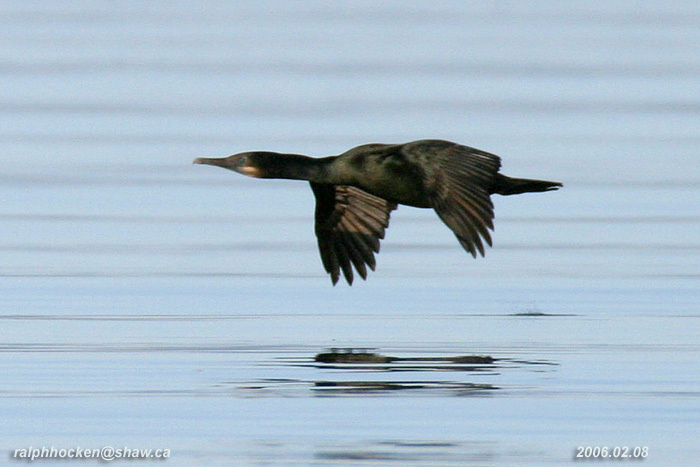 The Sunday bird walk went to Neck Point Park in Nanaimo. The morning started out sunny but turned cloudy and very windy as the morning progressed. Fourteen Black Turnstones and twelve Black Oystercatchers were seen on the rocks just offshore. A large flock of Pacific Loons were seen further offshore. Brandt Cormorants, Pelagic Cormorants and Double-crested Cormorants were resting on the big rocks at the Point. 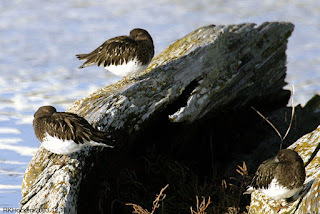 Black Turnstones: Ralph Hocken Photo. The Tuesday bird walk on November 28, 2017 will be going to Columbia Beach in French Creek, depending on the weather! Meet at the Parksville Community Park (at the parking lot in front of the Lions Club Playground) at 9:00 a.m. or at the parking area off Admiral Tryon Blvd. (turn onto Columbia Drive off highway 19a then turn right onto Admiral Tryon Blvd. Go about one hundred yards and turn left to the parking area) at about 9:15 a.m. The Sunday walk on December 03, 2017 will be going to Nanoose Bay, depending on the weather. Meet at the bird store at 9:00 a.m. or at beach in front of the Nanoose Bay Church Camp off highway 19 and Arlington Road at about 9:15 a.m.